Chromebooks are known and loved for their long battery life, but alas, sometimes you can lose your charger. So the Chrome OS team had a few sparks of creativity to generate renewable ways to keep your Chromebook running anywhere. Next time you’re tap-tapping away on your Chromebook and the low-battery light comes on to taunt you, do the sensible thing: visit the nearest wind tunnel—or, better yet, wind farm—for some free, non-polluting electricity. Pro tip: hold on tight. A full battery is useless if your device gets blown away and smashed to bits. 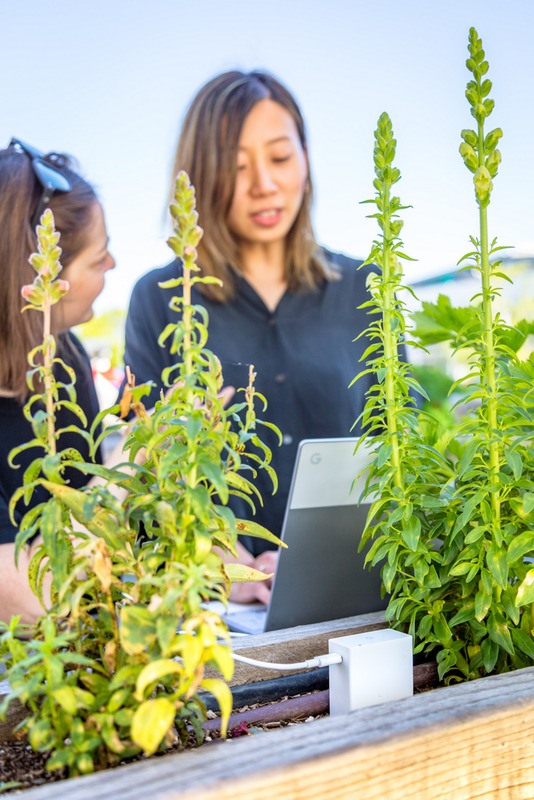 Put summer days to work for you: place your Chromebook in direct sunlight and watch the power level rise. 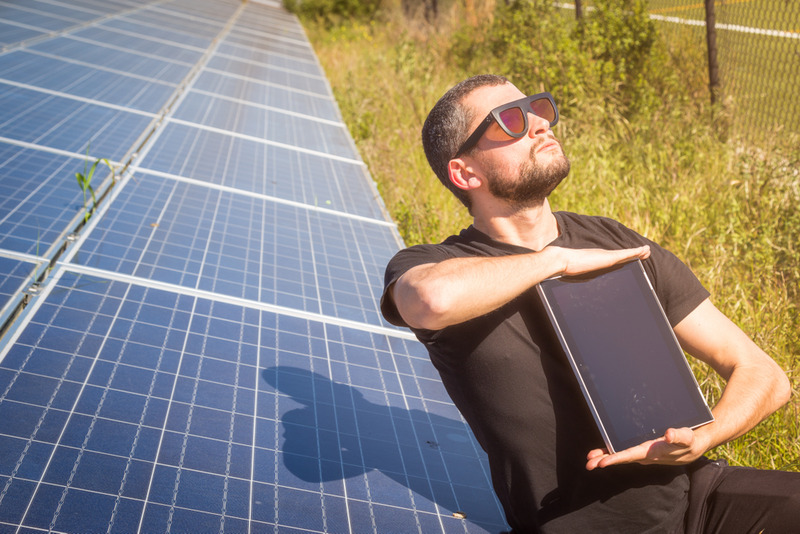 Think of it as a fun-size solar panel. We estimate that 10 minutes should get you going for a good five hours. Unless you use sunblock. That’ll negate all the benefits and leave you with a greasy laptop. A plant-based diet is excellent fuel for your body, but who knew that our leafy friends could provide juice to machines, too? Next time you’re tending the garden, take your Chromebook charger along and watch the battery level grow like a weed. 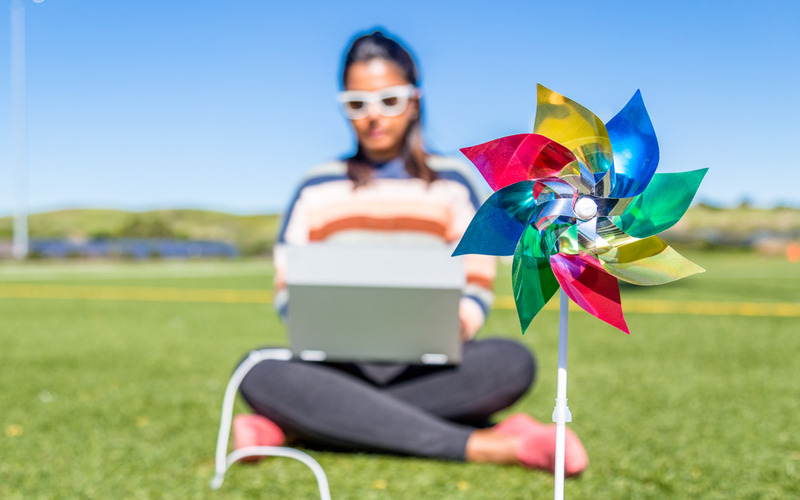 We hope these alternative-energy sources make it even more convenient to take your Chromebook anywhere and everywhere. Explore the world around you without ever running low on charge! Update April 2: April Fools! You can’t use these sources of energy to power your Chromebook—though we always strive to make it even more convenient to take your Chromebook anywhere and everywhere!